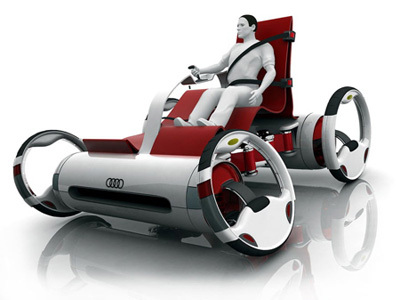 The Audi Quattroflex, which is not affiliated with Audi, won the 'Best Use of Technology Award' in the 2006 Interior Motives Design Awards. The Quattroflex's designer, Alexey Bykov, is a student of Ural State Academy of Arts and Architecture in Russia. 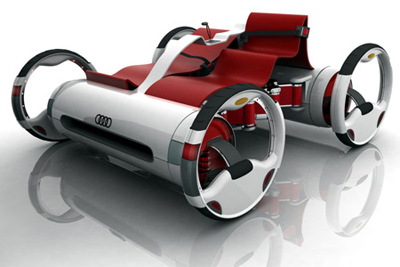 The theory behind the Audi Quattroflex concept was to create a future vehicle which displayed "Emotion in Motion", and the similarity between the Quattroflex and olden-day horseless carriages was entirely intentional. 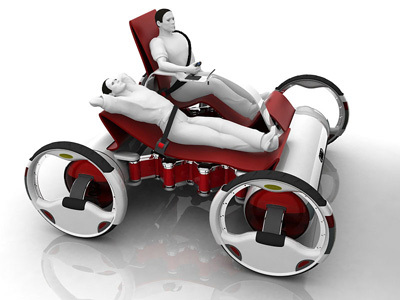 The electrically powered Audi Quattroflex features two cylinders, front and back, which hold the mechanical elements of the vehicle, connecting the two cylinders is an expandable/collapsible floorplan with customisable cushioned seating which can be modified to fit the users needs. 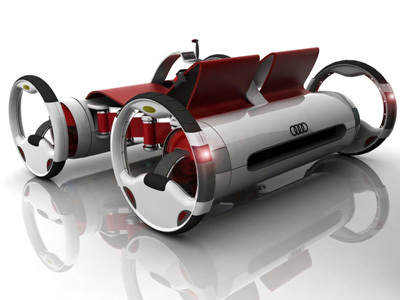 The Audi Quattroflex is controlled via a centrally mounted joystick, allowing the vehicle to be driven from either side. The Quattroflex steers using its unique hub-less tilting wheels which tilt into the corner.